02/11/19 Mirror photo by Patrick Waksmunski / Tyrone's Reilly Ronan leans into Hollidaysburg's Allison Hileman. TYRONE — The Tyrone Area High School girls basketball team recognized its seniors prior to Monday night’s game with Hollidaysburg at the Tyrone Middle School gymnasium. All three Tyrone seniors — career 1,000-point scorer Sydney Shaw, Brooke Welsh and Reilly Ronan — were in the starting lineup for Monday’s game, and all three acquitted themselves well. At the same time, it was a pair of freshmen, forward Jaida Parker and guard Stephanie Ramsey, who showed that the Tyrone girls basketball program will be in good hands for years to come. With Parker scoring a team-high 17 points, Ramsey adding 16 and Shaw 13, Tyrone rode its offensive balance to a 55-47 win over Hollidaysburg in the regular-season finale for both teams. Tyrone led for almost the entire game but had its hands full with a pesky Hollidaysburg team that never threw in the towel. 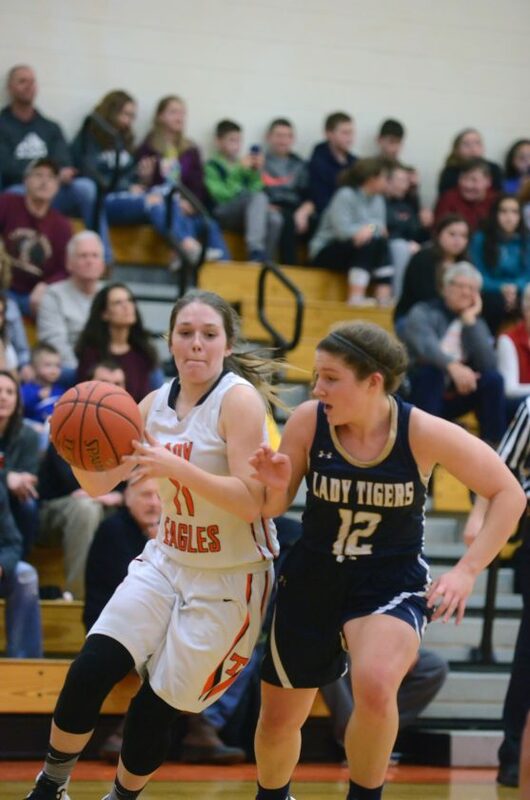 Junior guard Allison Hileman fired in a game-high 26 points for Hollidaysburg, including seven 3-pointers. “That’s a tough team,” Rhoades said of the Lady Tigers, who dropped to 11-10. Tyrone managed to keep Hollidaysburg at arm’s length through four quarters. The Lady Eagles used a seven-point run on two inside buckets by Parker and a 3-point field goal by Ramsey to build a 34-24 lead late in the third quarter. Hollidaysburg battled back, however, getting Hileman’s 3-pointer from the left side and another 3-pointer from the right corner by senior forward Janessa Goins to close to within 34-30. After Ronan made one of two free throws, Parker drove the baseline for a field goal to put Tyrone ahead, 37-30. Hileman answered with a 3-pointer from the right corner to pull Hollidaysburg to within 37-33, but sophomore Shannon Shaw — Sydney’s younger sister — hit a big 3-pointer from the corner just before the buzzer to give Tyrone a 40-33 advantage heading into the fourth quarter. A free throw by senior guard Sierra McClain pulled Hollidaysburg to within 40-34 in the fourth quarter, before Tyrone scored the next seven points to go ahead, 47-34. Ramsey drove the baseline for a field goal to start the run, and Parker added a putback, before Sydney Shaw buried a 3-point shot from the right side. Parker thought that Tyrone put forth a team effort. A jumper by senior Hannah Snyder pulled Hollidaysburg to within 51-44 late in the fourth quarter, but Ramsey answered that with a pair of free throws with 22 seconds left to give Tyrone a 53-44 lead. Hileman buried another 3-pointer in the final seconds, before Ramsey was fouled and made both shots to set the 55-47 final score. Both Tyrone and Hollidaysburg will host playoff games next Thursday night, Feb. 21. In the District 6 Class 5A semifinals next Thursday, Hollidaysburg hosts the winner of next Monday’s first-round game between Bellefonte and DuBois. 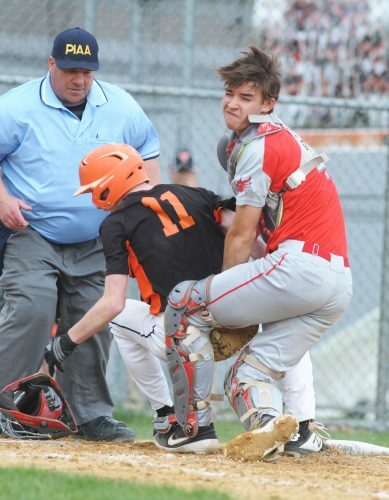 The same night, second-seeded Tyrone hosts a District 6 Class 3A quarterfinal game against the winner of next Monday’s first-round matchup between United and Westmont Hilltop. 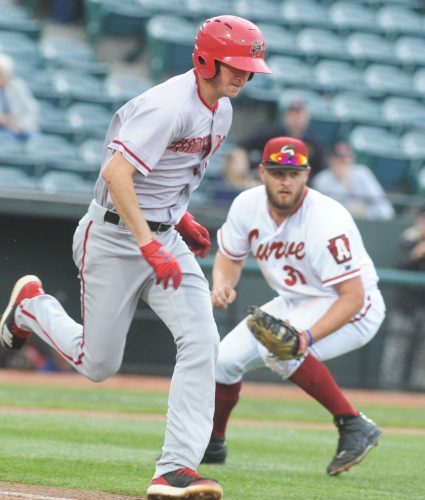 “We’re going to try to finish the year strong, and see what happens,” Rhoades said. HOLLIDAYSBURG (47): Hileman 9 1-2 26, Snyder 2 0-0 4, Goins 2 0-0 6, McClain 0 1-2 1, Bell 3 0-0 7, O’Neill 1 0-0 3, Smith 0 0-0 0. Totals — 17 2-4 47. TYRONE (55): Welsh 1 0-0 2, Ronan 1 1-2 4, Sydney Shaw 5 0-0 13, Parker 7 3-4 17, Ramsey 5 4-4 16, Fusco 0 0-1 0, Getz 0 0-0 0, Shannon Shaw 1 0-1 3, Saltsgiver 0 0-0 0. Totals — 20 8-11 55. 3-point goals: Hollidaysburg 11 (Hileman 7, Goins 2, Bell, O’Neill); Tyrone 7 (Sydney Shaw 3, Ramsey 2, Ronan, Shannon Shaw). Records: Hollidaysburg (11-10); Tyrone (17-5). Officials: Brandon Hoover, Tim Hite, Larry Stitt. JV: Tyrone, 39-35. High scorers–Aubrey Sipes, H, 13; Emma Getz, T, 23.